Lifelong vegetarian and chef Chitra Agrawal takes you on an epicurean journey to her mother’s hometown of Bangalore and back to Brooklyn, where she adapts her family’s South Indian recipes for home cooks. This particular style of Indian home cooking, often called the “yoga diet,” is light and fresh, yet satisfying and rich in bold and complex flavors. 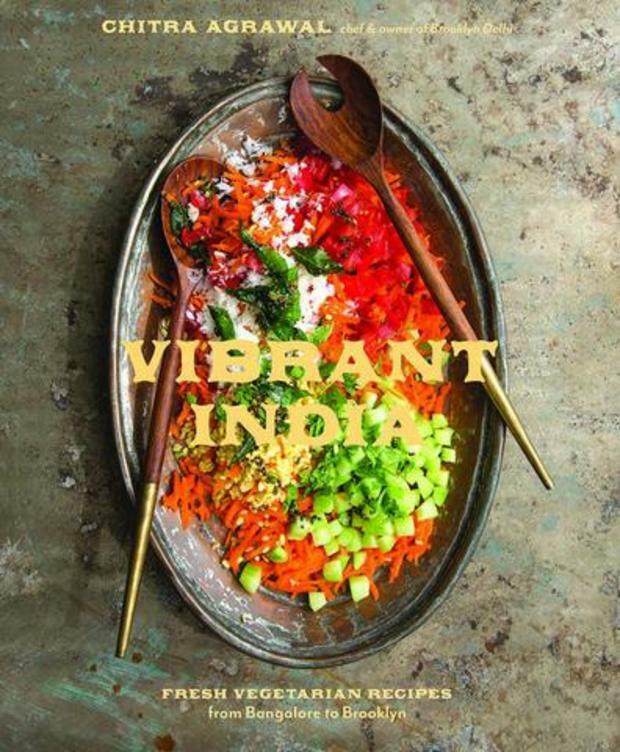 Grains, legumes, fresh produce, coconut, and yogurt—along with herbs, citrus, chiles, and spices—form the cornerstone of this delectable cuisine, rooted in vegetarian customs and honed over centuries for optimum taste and nutrition. To enter the giveaway, comment below by Friday, March 17 at 5pm EST, letting us know what you're most interested in learning from Chitra's book. We'll select a winner at random from the entries. You can also email contest@brooklynbrainery.com if you're not on Facebook.